With Super-slim bezels, tall screen, infinity display and speedy new Snapdragon 835 (or Exynos 9) processor, the Samsung Galaxy S8 comes with a ton of biometric authentication options. You get a fingerprint reader, iris recognition, and face recognition that lets you unlock the phone. 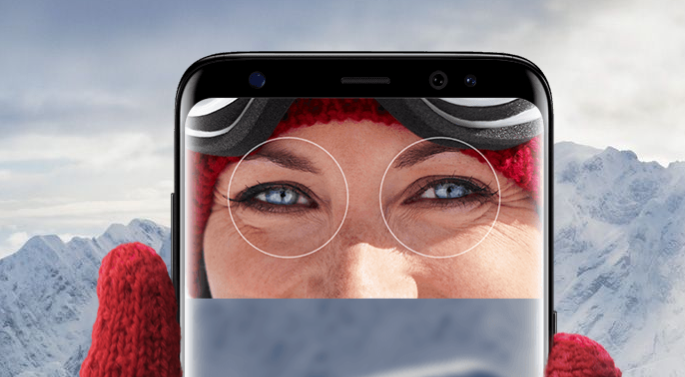 According to the latest reports, it looks like that Samsung's "Ultra-Secure" iris recognition security feature can easily be fooled. Germany's Chaos Computer Club (CCC), a venerable group of white-hat hackers, claims to have figured out a relatively straightforward way to trick the iris-recognition system on Samsung's flagship Galaxy S8 smartphone. According to CCC: The easiest way for a thief to capture iris pictures is with a digital camera in night-shot mode or the infrared filter removed. In the infrared light spectrum – usually filtered in cameras – the fine, normally hard to distinguish details of the iris of dark eyes are well recognizable. Starbug was able to demonstrate that a good digital camera with 200mm-lens at a distance of up to five meters (16.4 ft.) is sufficient to capture suitably good pictures to fool iris recognition systems. Samsung claims that the Galaxy S8 and S8+ are the securest phones yet. The iris scanner and face recognition that unlocks your phone in an instant comes with defence-grade security.